A few lawyers from New York City are suing businesses around the state because the companies’ websites are not compliant with the Americans with Disabilities Act. But leaders from the Center for Disability Rights, Greater Rochester Chamber of Commerce and local law firm Nixon Peabody question whether these lawyers care about accessibility -- or big settlements. Todd Shinaman is a lawyer with Nixon Peabody. He said the lawyers are using a clause in the American with Disabilities Act that was first applied to any business that people can physically visit, which generally means adding a ramp or elevators. Shinaman said federal judges have consistently ruled that those accommodations apply to websites. For example, a video on a site must have captions. 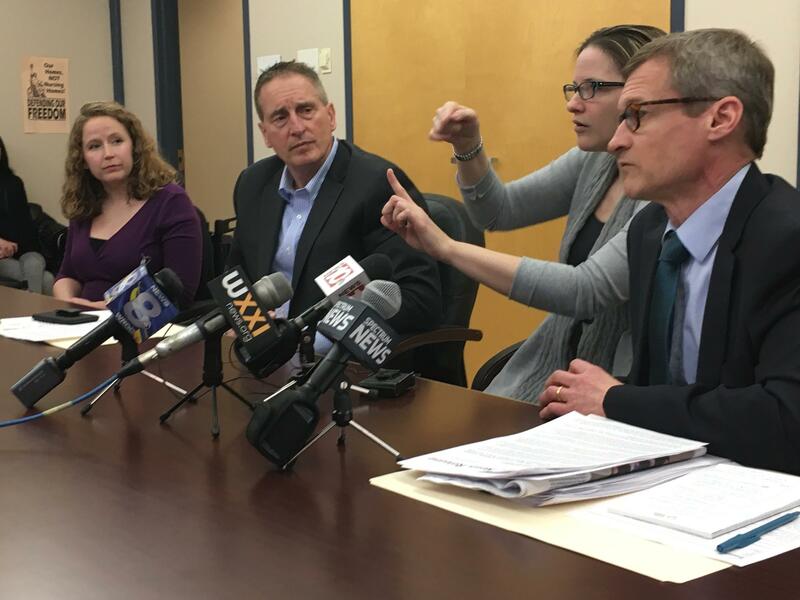 Greater Rochester Chamber of Commerce CEO Bob Duffy said the suits were sent without warning and are intimidating small businesses with settlement offers for $10,000 or more, plus legal fees. Duffy said wineries, art galleries and SUNY colleges are just a few of the businesses targeted in these lawsuits. “We want to educate businesses that may have no idea that their website is not in compliance and may want to be in compliance,” said Duffy. Stephanie Woodward, who works for the Center for Disability Rights, said more websites should be accessible, but there are better ways to bring awareness to the issue. Scott Osborn co-owns Fox Run Vineyards in the Finger Lakes. He said his winery was sued in February by one of the lawyers. He said some companies have been sued two or three times. Osborn is working on a redesign of his site so that it meets accessibility standards. If his site meets those standards, the Americans with Disabilities Act states that the lawsuit could be thrown out of court.